Thanks to all who entered. The winner has been notified. Time to show a little appreciation for my readers who also want to “travel like a lady and budget like a boss.” Travel in style with a chance to win $140 gift card from Chic Wish. I am in love with their printed midi skirts — they are so unique and affordable. 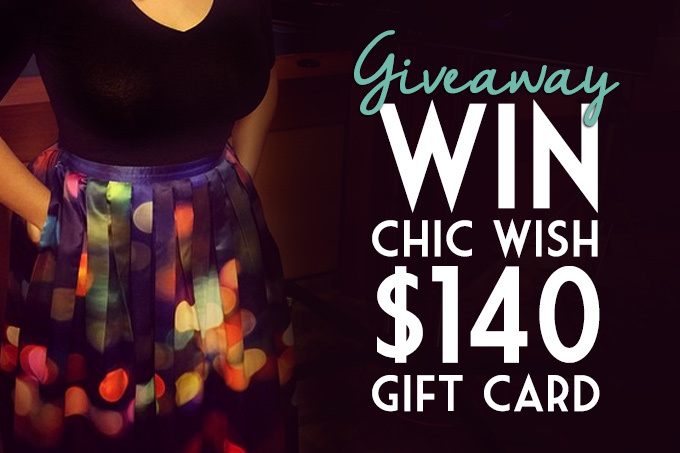 See my Chic Wish favorites below and enter multiple ways to increase your chances of winning! Earn up to 30 entries by completing all six entry methods. Tweet this giveaway daily to increase your entries. Hurry, giveaway ends March 17, 2015 CST. This giveaway is in no way sponsored by Chic Wish. I just want to show appreciation for my readers. What’s your favorite Chic Wish item? >> READ NEXT: Watch the New Trailer for "American Soil, Chamorro Soul"
I love the Emerald belted Full Lace Midi dress! It’s beautiful! And that brown leather bag you posted is perfect. P.S. is there supposed to be a Rafflecopter or something on the post? You mention 30 ways to enter but I don’t see anything listed. Hi Martina. Thanks for your message. There is a problem with the entry form on this page. I’m working to fix it. You can enter on Facebook no problem! Here it is: http://gvwy.io/xvxg3w. Thanks!